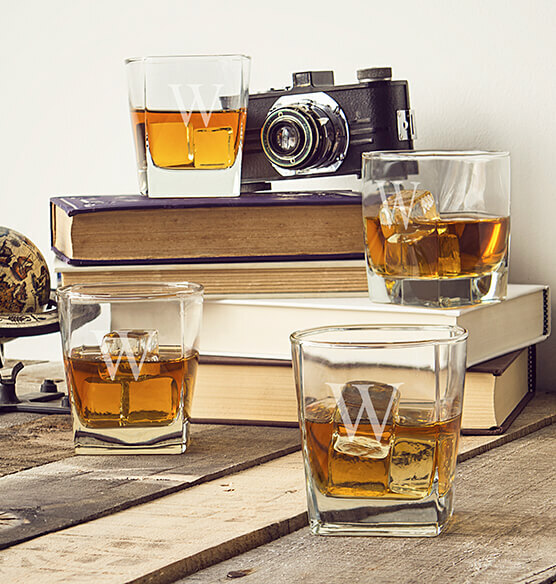 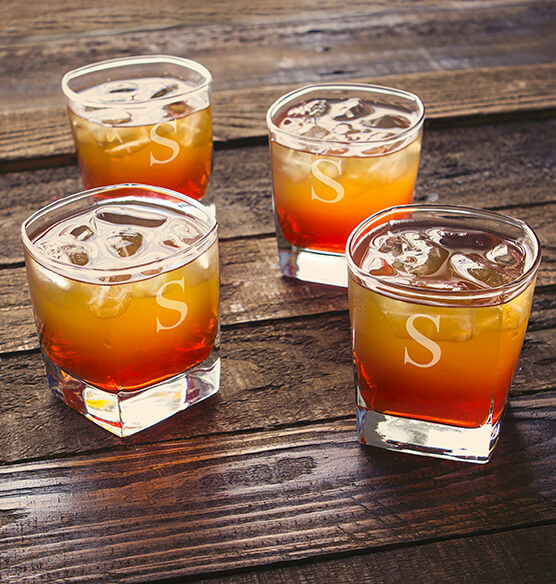 From a Whiskey Sour to a Cuba Libre, these Personalized Rocks Glasses are ideal for every day entertaining. 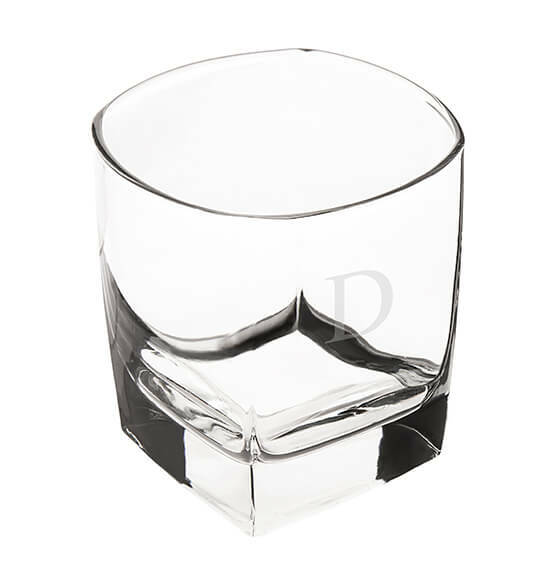 Each square, hand-blown glass is custom etched with a single initial and crafted from clear glass with a weighted bottom. 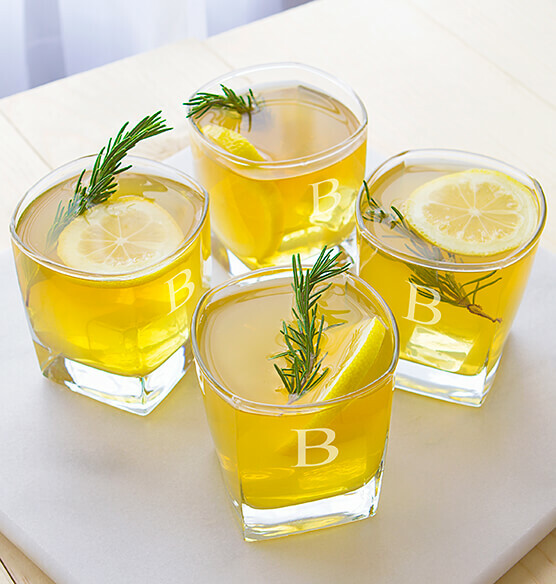 A great house-warming gift or a unique addition to your own barware collection. 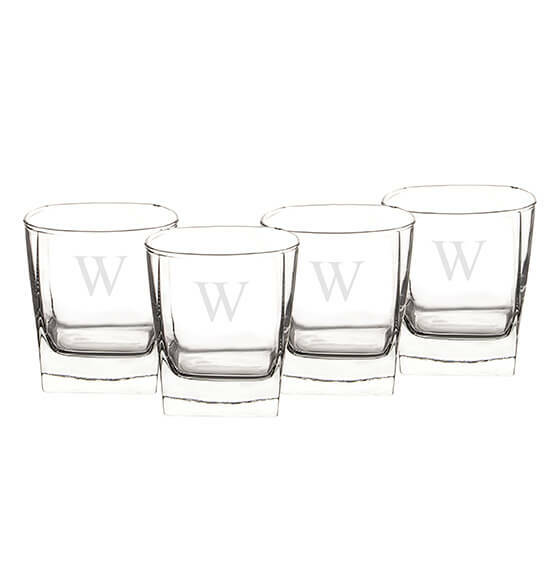 Each holds up to 10.5 oz.